Everything you could dream of for your perfect wedding. 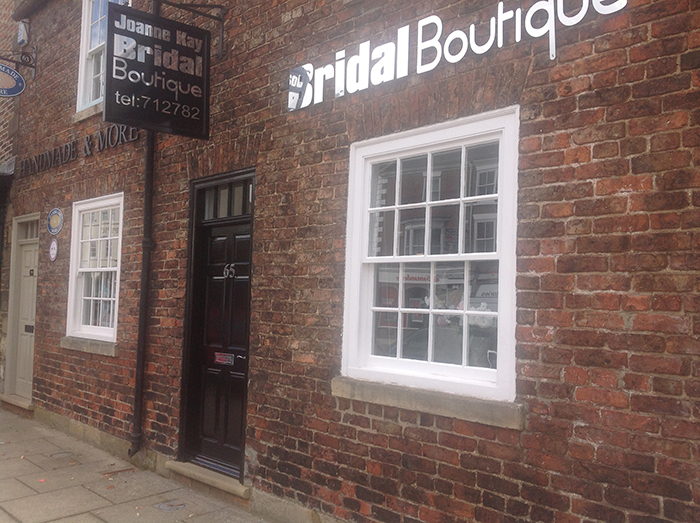 Our elegant Bridal Boutique is located in the picturesque market town of Stokesley, North Yorkshire on the outskirts of Middlesbrough. We have carefully selected award winning designer wedding gowns, bridesmaid dresses and beautiful accessories, everything you could dream of for your perfect wedding. On entering our Boutique, at your initial appointment to the minute you leave us, having collected your perfect wedding dress, you will receive our undivided attention every step of the way. You and your guests will have exclusive use of the Boutique in a relaxed and calming atmosphere to enable you to enjoy the most luxurious wedding dress shopping experience. We are 100% committed to helping you find your bridal style and we know you will enjoy this beautiful journey. We encourage you to book an appointment which will allow us the time to create a truly memorable experience leading up to your special day.